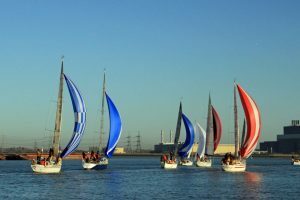 The Cruiser Class run a programme of activities throughout the year including racing, cruising and social events. 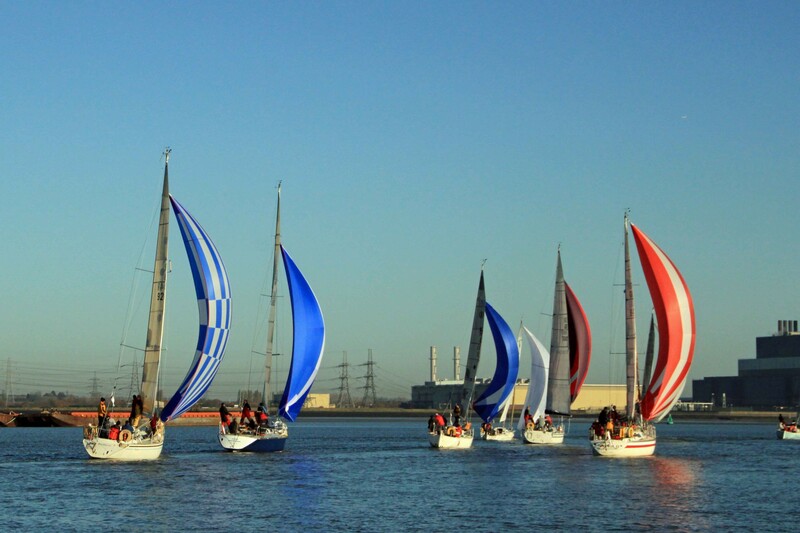 Trips to London, Ramsgate, The Swale, all the East Coast rivers…..in fact anywhere within a tide we’ve visited! 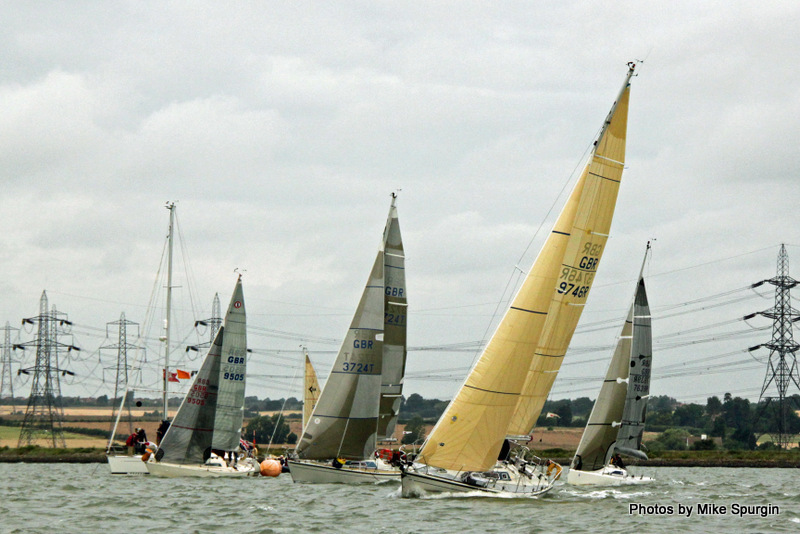 Autumn Series – short series with committee boat starts. We end the year with this ever popular series – the biggest and best series on the East Coast – in our opinion! 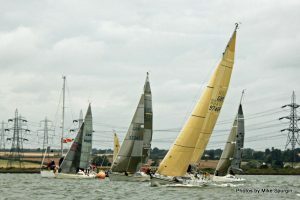 To support the clubs racing activities we look to provide a number of duty days each year, as does each class sailing out of MYC. Please contact the Club Office, if you are able to support the club with a duty with your available dates and duty type. Social functions include the Laying Up Supper after our AGM in November and our Fitting Out Supper in April, this event is very popular as we do our best to get a yachting celebrity along, Tom Cunliffe was a recent guest speaker and was excellent. We have the following trophies awarded annually. Joining us is easy, simply email the Cruiser Class Captain the form below. Our annual subscriptions are £10 per boat per year. 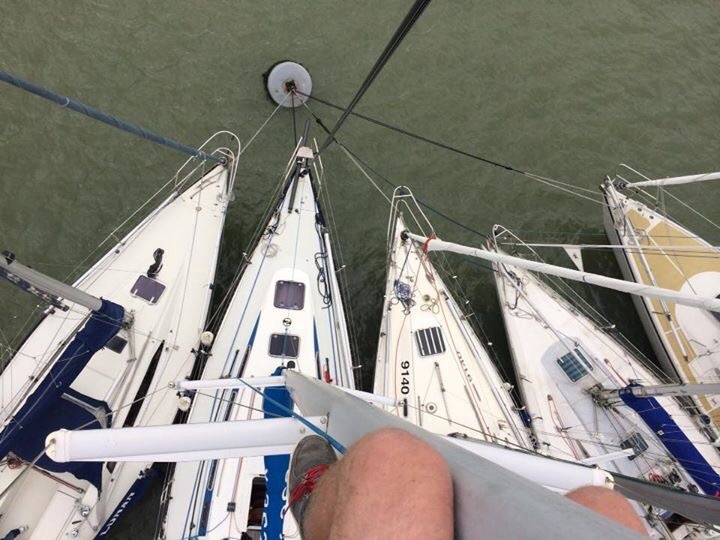 By supporting your class you’ll be helping improve facilities for cruising yachts at MYC and opportunities to meet like minded cruising and racing sailors. When we crunched the numbers we discovered our 130 members have over 3,250 years of experience between them, a huge pool of knowledge to tap into if you’re planning a trip somewhere new! Our regular monthly e-newsletters will keep you up to date with both our and the clubs activities and if you’re racing you’ll get the results on the day too. Click here to be added to the Cruiser Class mailing list. Over the next few months we will add links below that will take you to our calendars for the coming year, racing results, racing paperwork and booking forms for our social functions. Hopefully we’ve something of interest for you and will see you at one of our events soon, please do get in touch if you would like to know more about any of our activities.